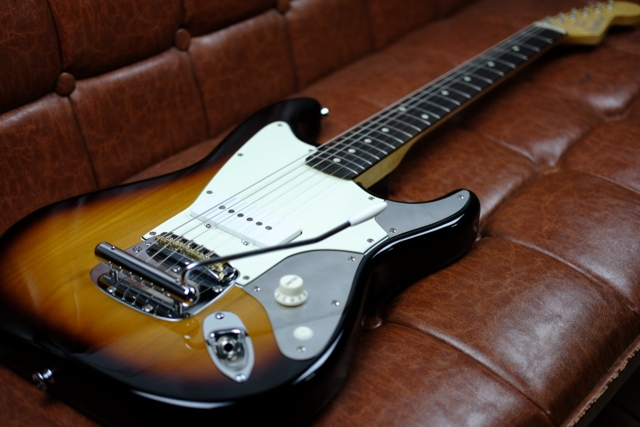 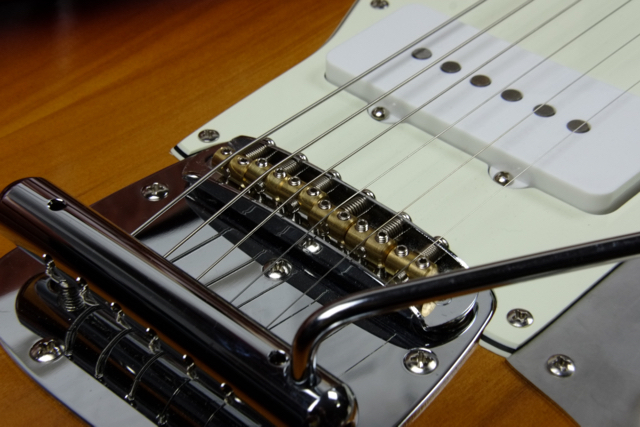 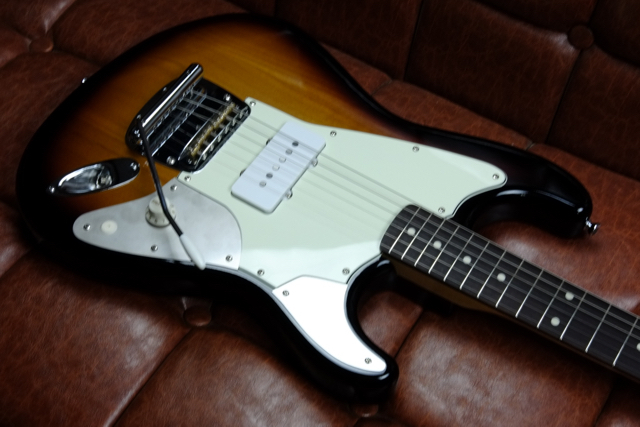 Dynamic vibrato of Mustang is carried in “One Master”, and more radical change of pitch has been realized. 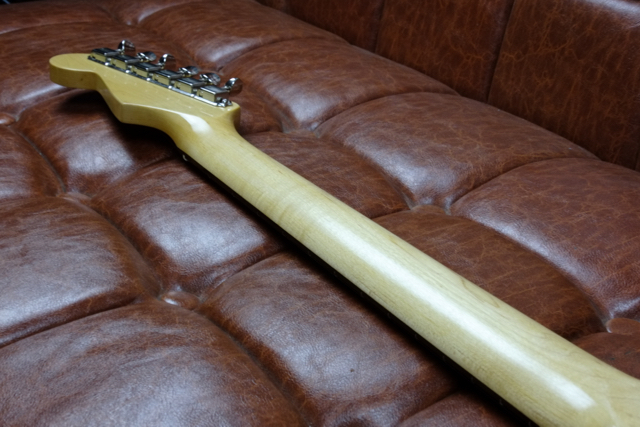 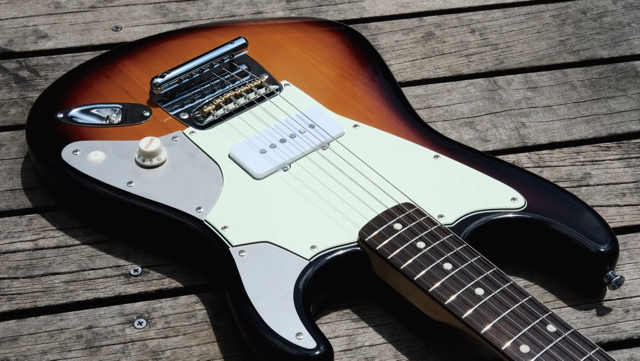 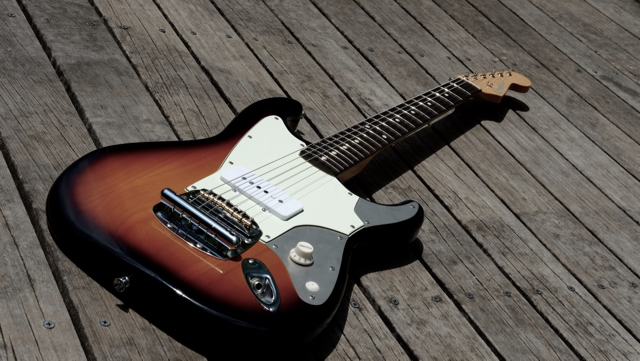 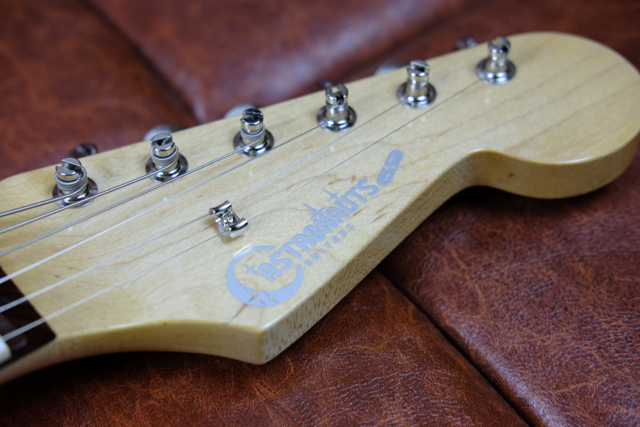 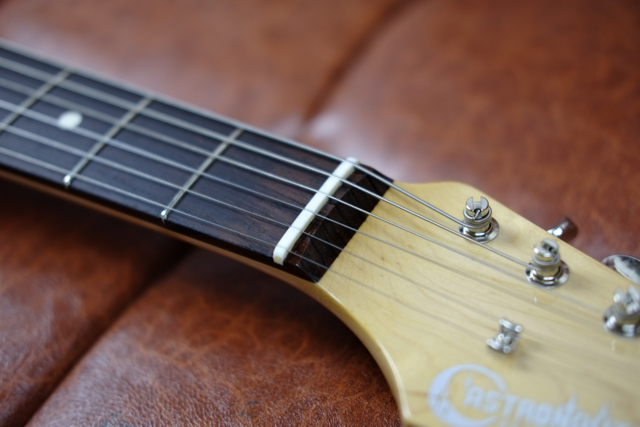 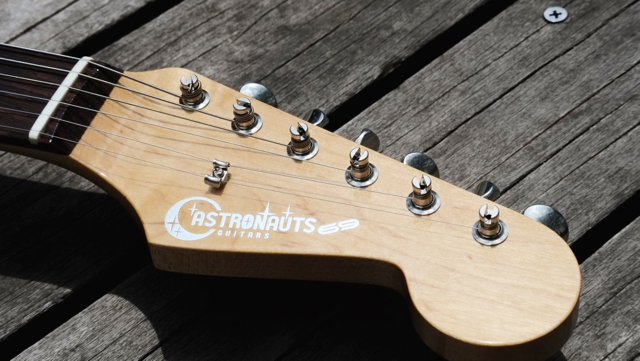 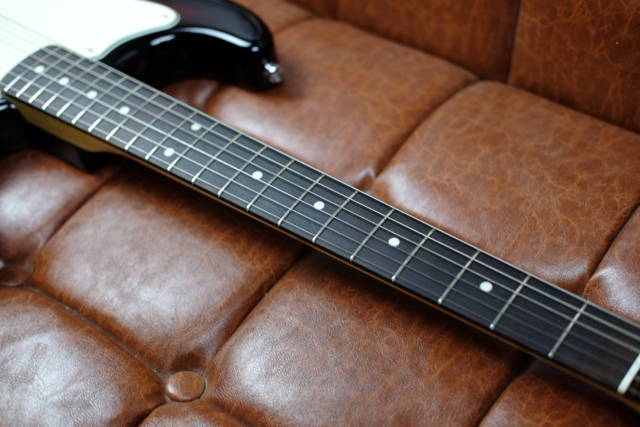 A combination of alder body and rosewood fretboard maple neck. 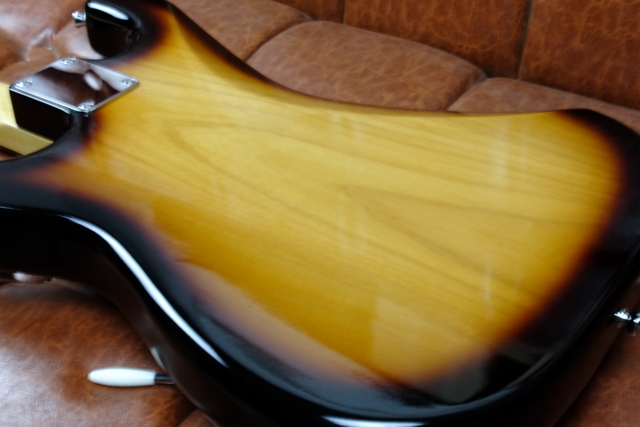 The dense rosewood which has become less recent in recent years has a very luxurious feeling. 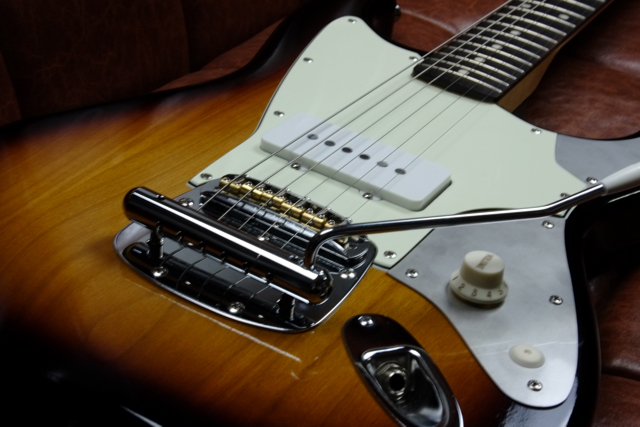 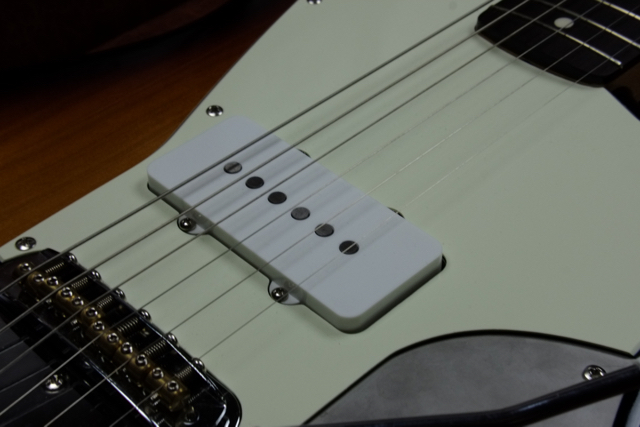 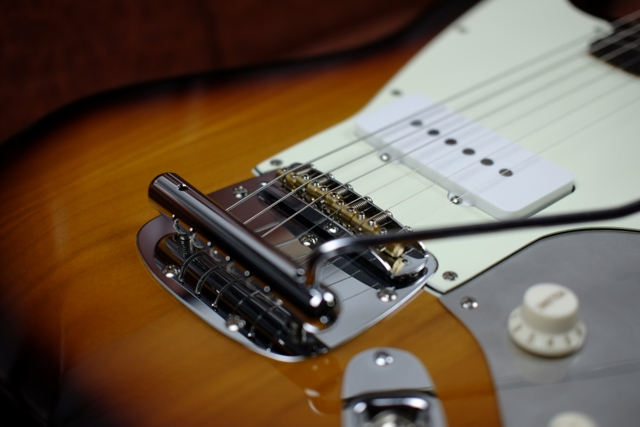 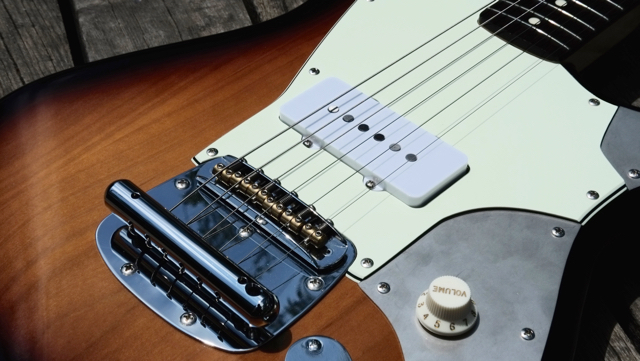 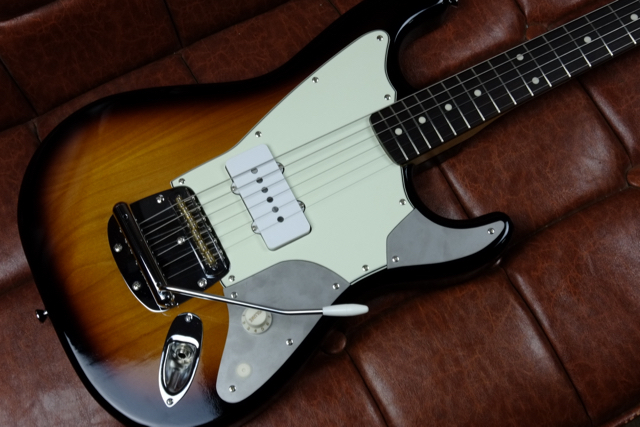 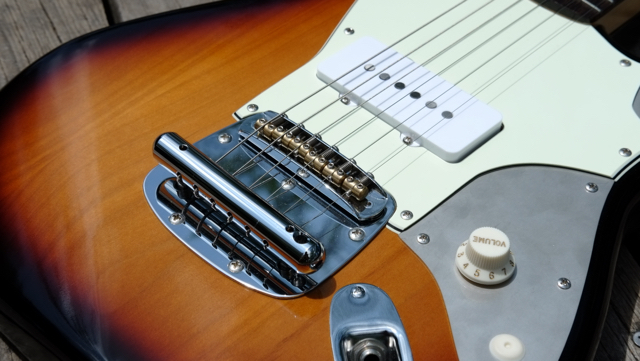 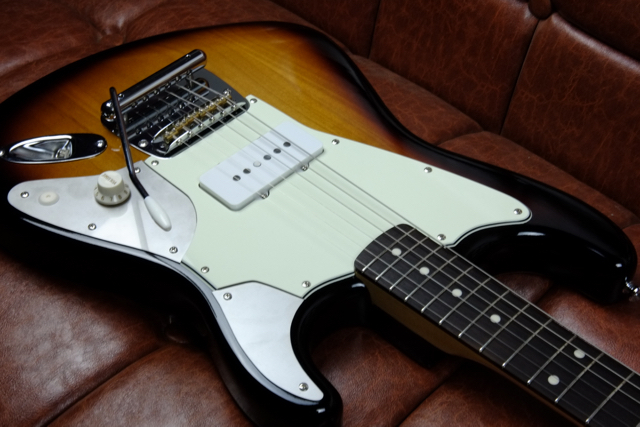 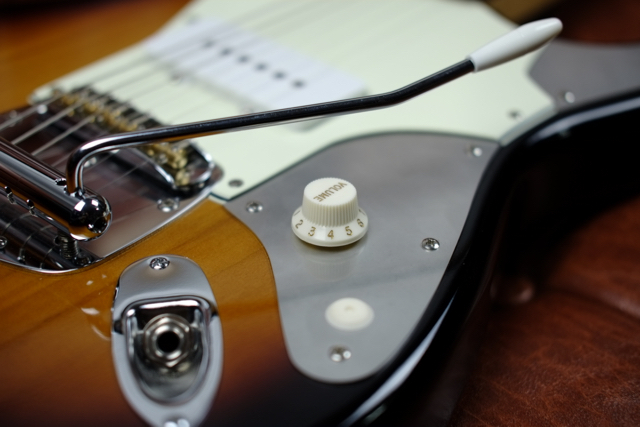 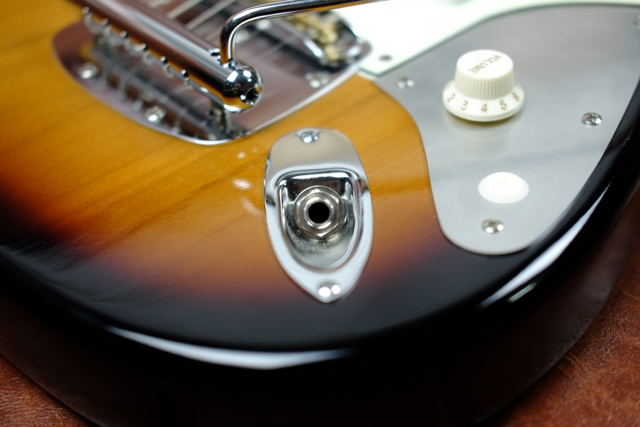 The position designed to bring out the best sounding at 1 PU is equipped with JM – 59 “The Master” of RetroTone Pickups, the thick sound of presence that has presence, is alive. 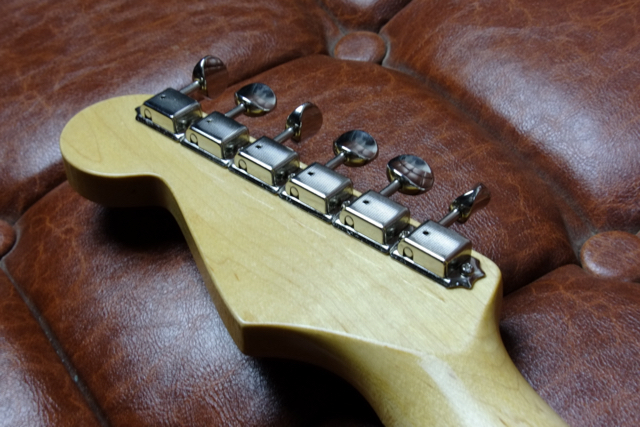 Place volume on stainless steel control panel. 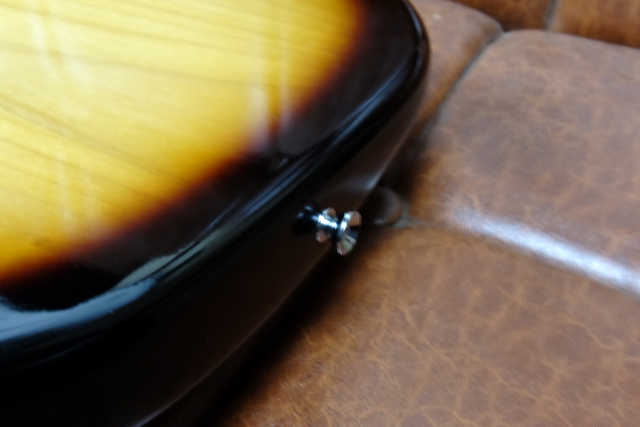 A preliminary hole is already opened in the panel, and expansion of tone etc. 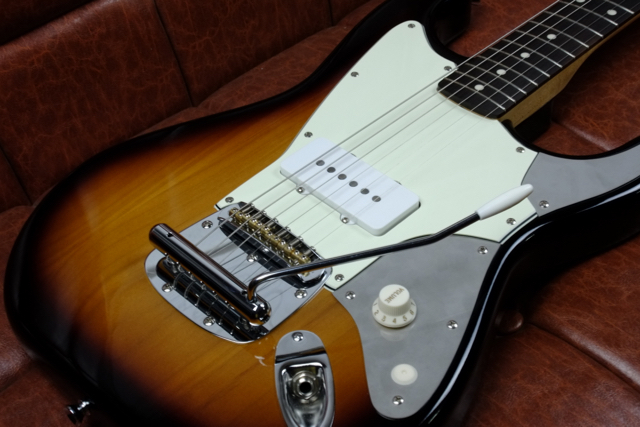 is also possible as necessary. 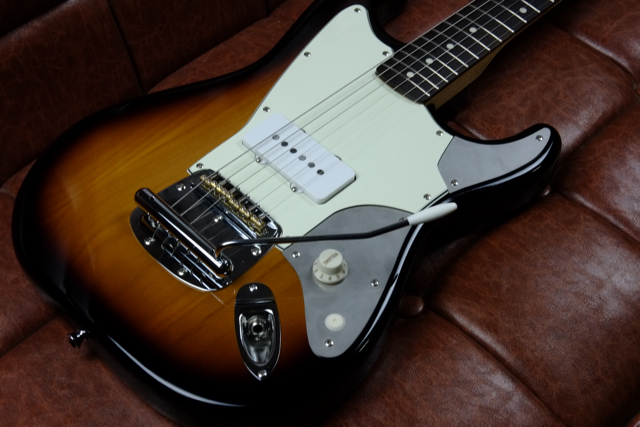 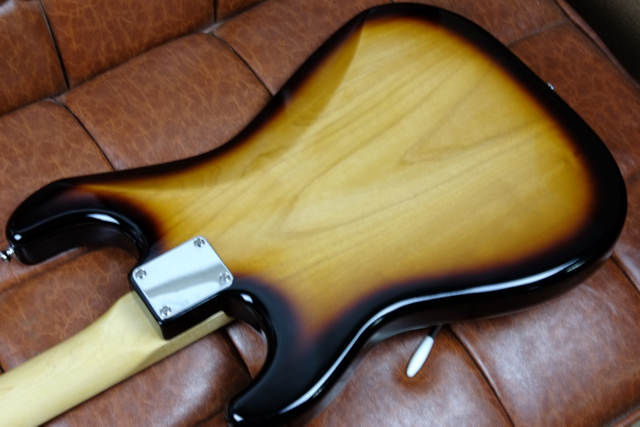 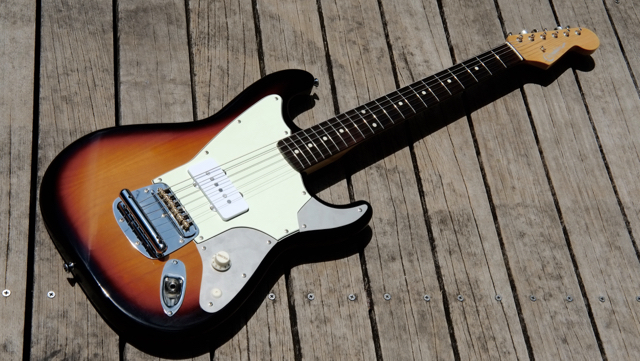 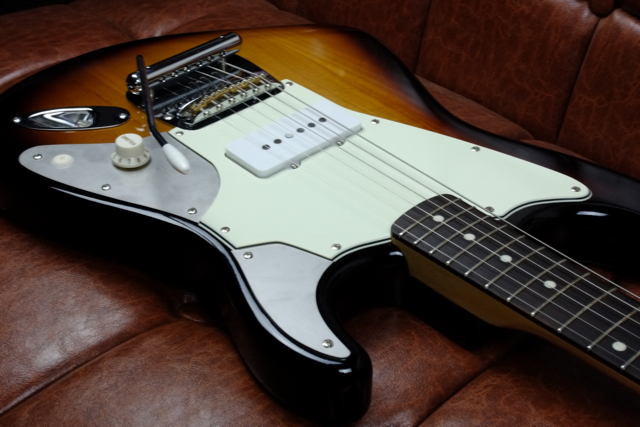 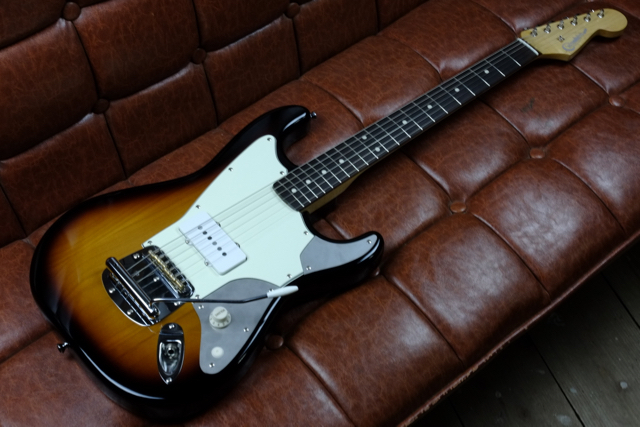 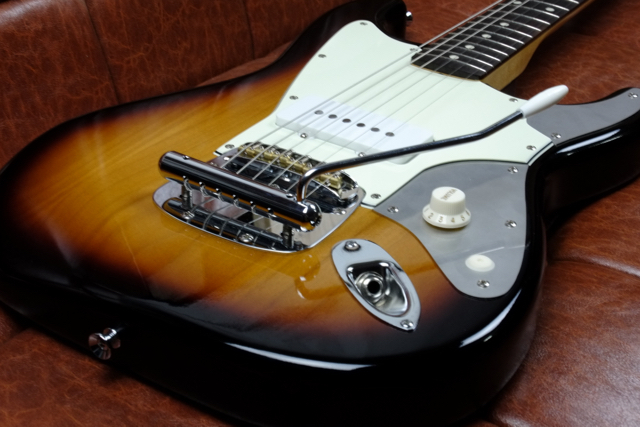 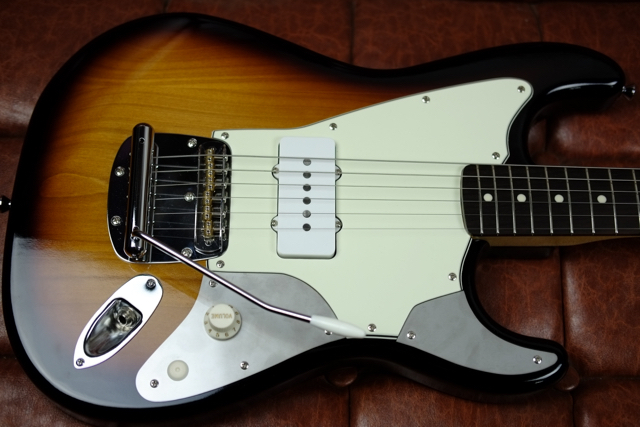 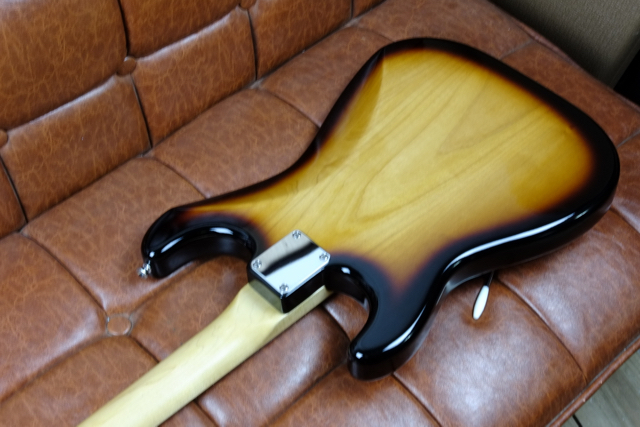 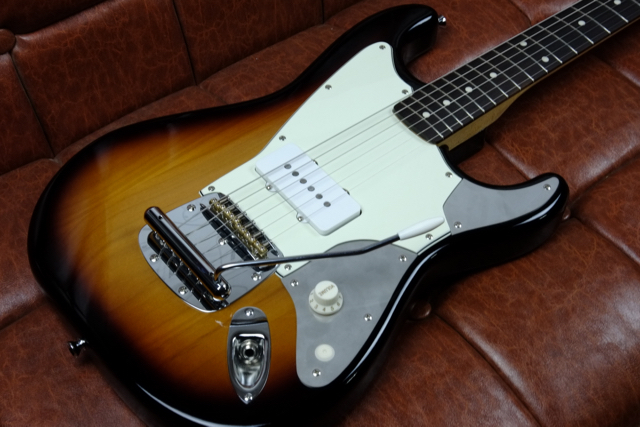 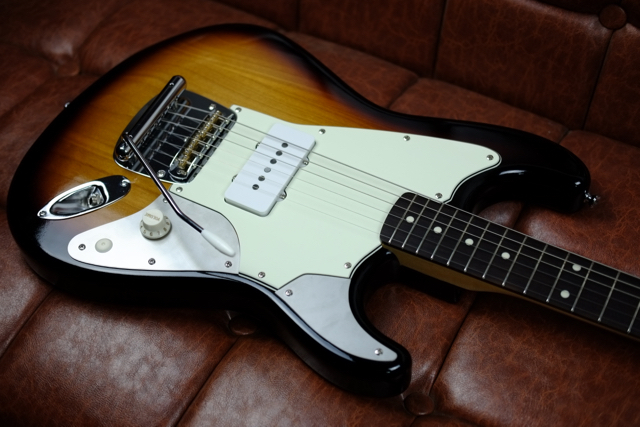 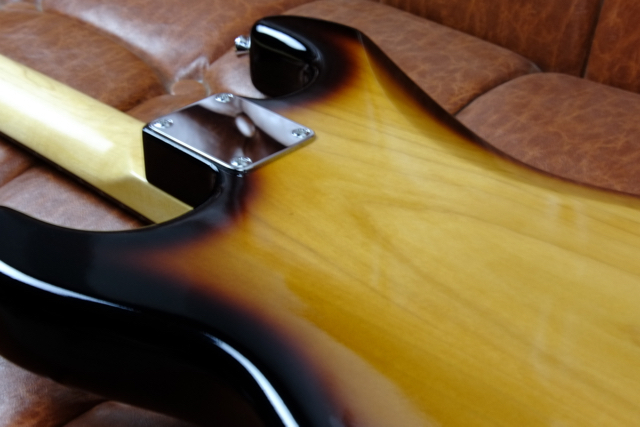 Body color is “2 Tone Sunburst”.